There is nothing more central to our heritage than the Royal Pavilion Estate. In the early years of our existence, the Regency Society fought hard and successfully for the then badly delapidated Royal Pavilion. Too often we write with disappointment about new projects where quality architects have been replaced by cheaper alternatives once permission has been obtained, or of contractors who do not appreciate the care required when working with historic sites. It is, therefore, particularly heartening to report on a project supervised throughout by Feilden Clegg Bradley Studios and realised by R. Durtnell and Sons, a family business established since 1591 with a track record of delivering high profile heritage restoration projects. This project is now at an advanced stage. 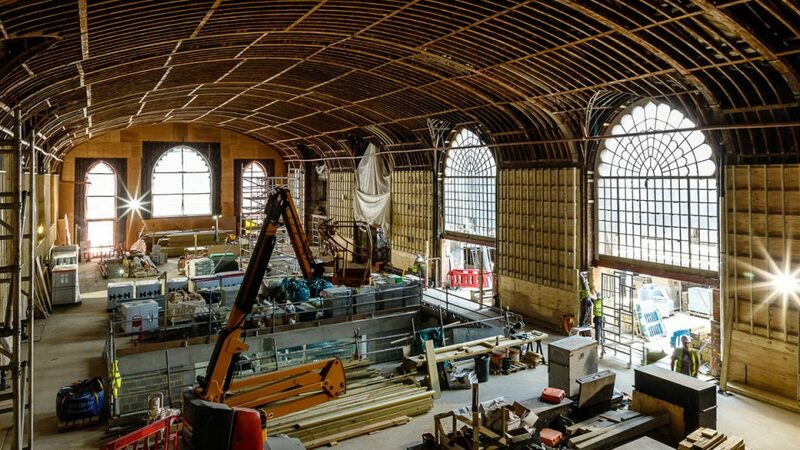 Much twentieth century addition has been stripped away and the original, simple magnificence of the widest span timber frame building in Britain, the Prince Regent's Riding School, is beginning to re-emerge. Gone and unmourned are the mirroring on the windows, the incongruous 'wagon wheel' hanging light, the painted roof, and much else. 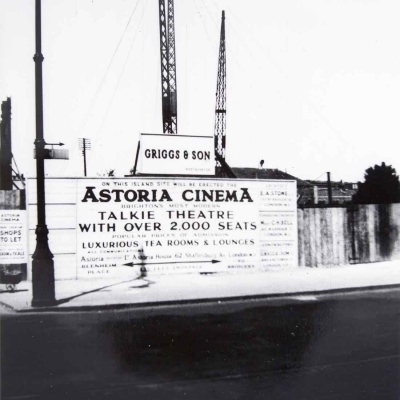 We have heritage to be proud of and it is good to see it cared for and made fit for purpose as a state of the art twenty-first century performance venue. Much of the funding is already in place for this project but members are encouraged to consider making a contribution to help raise the final 10%. (see below). 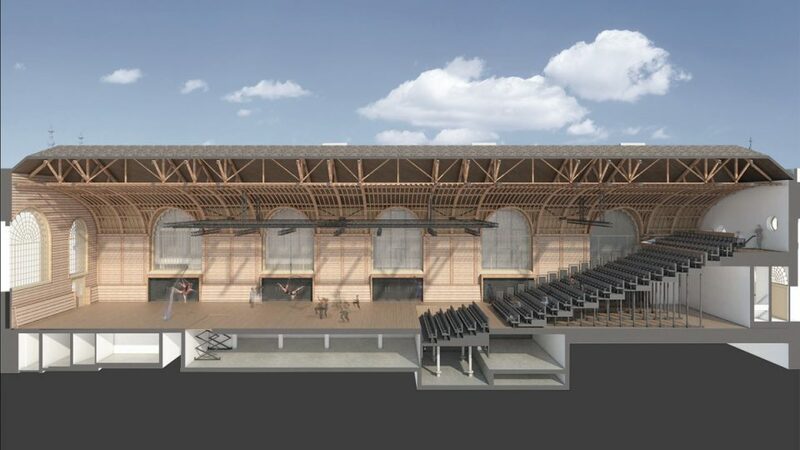 'Brighton Dome & Brighton Festival’s transformational £21.2 million project to redevelop the Grade I Corn Exchange and Grade II listed Studio Theatre is well underway. 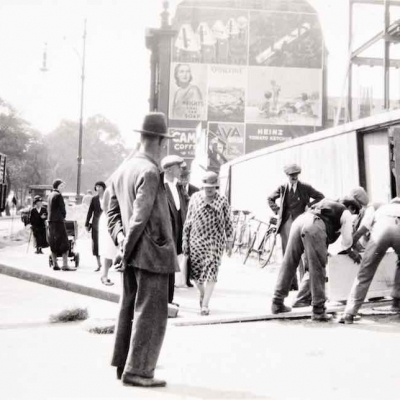 These extraordinary venues were in urgent need of repair and renovation to continue welcoming artists and audiences. As well as preserving the unique heritage, visitors will enjoy more comfortable, accessible spaces with improved acoustics, lighting and seating. The wider project includes a new viewing gallery for visitors to observe creativity at work in the Corn Exchange, new bars, a café opening up onto New Road and a new creative space for artists and community groups. After eighteen months on site and generous public and private support, over 90% of funding is in place towards the total project costs. 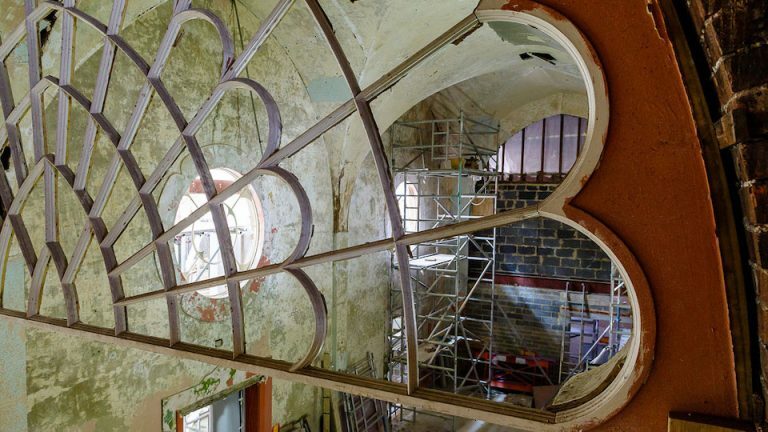 Brighton Dome is now seeking support from audiences for their community campaign ‘Build Brighton Dome’, inviting individuals to make a donation or even Name a Seat in the redeveloped Corn Exchange. Build Brighton Dome has so far raised over £55,000 towards the total £250,000 needed. Thanks to The Roddick Foundation all donations, including seat donations, will be doubled so whatever people choose to give at this crucial time will mean even more. Honour the memory of someone special, share your love of music or surprise a loved one with a unique gift. In appreciation, your name - or a nominated name - will be inscribed on a seat plaque in the refurbished Corn Exchange for a minimum of twenty years. Seat donations start from £25 a month over 12 months. For more information please call 01273 260818 or email development@brightondome.org to request a form in the post. 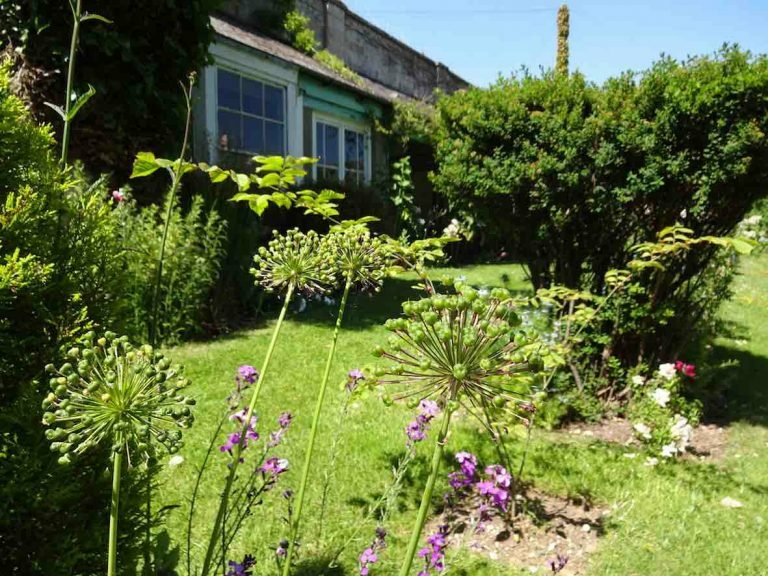 The Planning Forum, attended by members of the Regency Society and Hove Civic Society committees, meets monthly to discuss planning applications which the Forum considers significant. Each society forms its own view on the applications and decides what action, if any, to take. 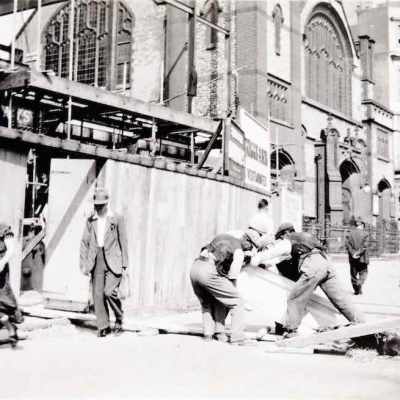 The Planning Forum looked at two significant applications in September, both just north of North Laine conservation area and each with a potentially dramatic impact on the physical environment of the area. The Regency Society is generally supportive of both albeit with comments on improving some details of each. We looked at 2 schemes for student housing this month. The first is a very large development proposed for Melbourne Street, just off the Lewes Road near the gyratory. The application is being made by Vita Brighton 1 Ltd which is part of a group which develops and operates student accommodation. It will involve demolition of an existing office building and a workshop. The new building will provide 350 student rooms, plus communal facilities. It will also include 20 affordable homes and over 1,000 square metres of employment space. The society has no objection to a development of this kind in this location. However, we are objecting to the massing of the proposed building which we think will have an adverse impact on neighbouring properties. 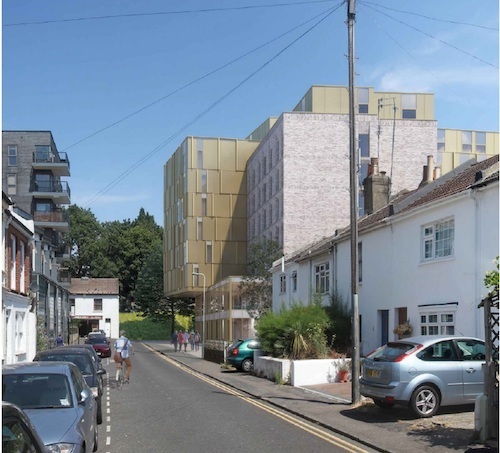 The second student housing scheme is for a site in Falmer near the station. It is currently occupied by two rather dilapidated cottages of no particular heritage value, which will be demolished. 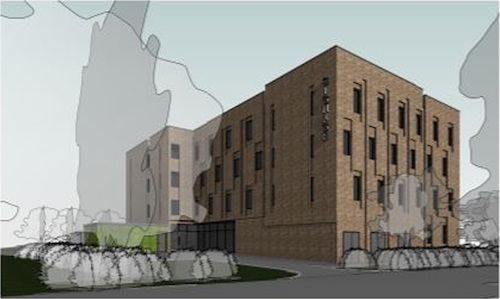 The proposed replacement is a four-storey building which would provide accommodation for 71 students with associated cycle and car parking and some landscaping. So far so good, but look at the design! One member described it politely as “too urban” for the location. Another was more blunt, describing it as looking like a prison. 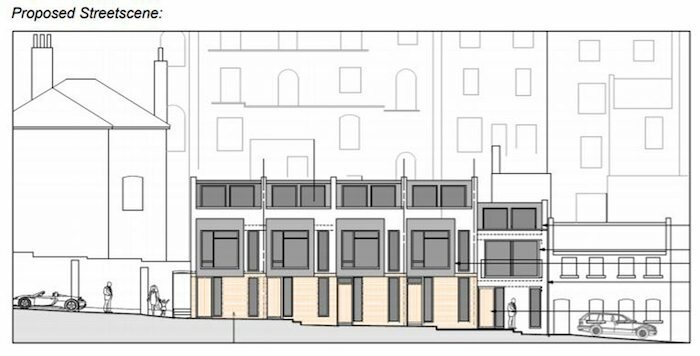 So, as with the previous scheme, we’re saying yes to the proposed demolition and use for student housing, but no to the proposed building, this time on the grounds of a design which is unsympathetic to its neighbours and its location. Brunswick Street West is located behind the large houses on the east side of Lansdowne Place. 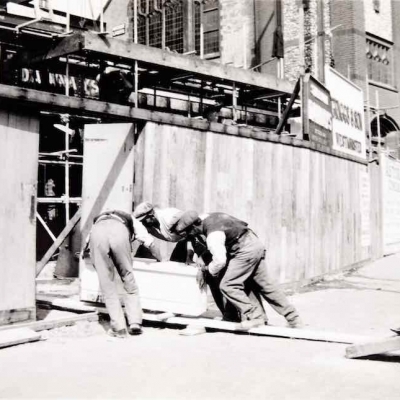 It was probably a mews and like many similar streets in the area it has been re-developed in a variety of ways over the years. This scheme relates to a site on the east side, about one third of the way down from Western Road. It has been used recently by a car sales business. The proposal is to demolish the existing buildings and replace them with five, three-storey, three-bedroom dwellings. The design is modern but not particularly exciting. However, it will provide five small homes in a “desirable” location and will probably look a lot better than what is there now. So, the society is not making any comment. Clermont Terrace: but what will it look like? Clermont Church is in Clermont Terrace just south of Preston Park Station. It was built in 1877-8 to a design by local architect, J G Gibbins. 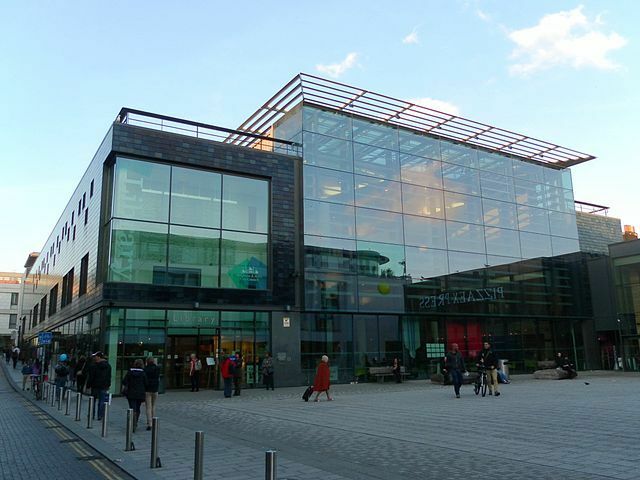 It is an attractive building with an impressive, high-pitched roof. It is located in the Preston Park conservation area and is locally listed It is no longer in use as a church. Behind the church there is a more recent, two storey extension which is currently used by the Brighton Academy of Performing Arts. The Academy wants to expand its space by adding a further storey. Our image shows the current view from the south west approach to the site. This suggests that a third storey could have an adverse effect on the appearance of the fine pitched roof. The problem is we don’t really know, because the applicant has not included a drawing or “artist’s impression” to show what the new view would be from the street. Nor does the application include a heritage statement to explain the significance of the existing building. So, we are objecting on the grounds of inadequate information. 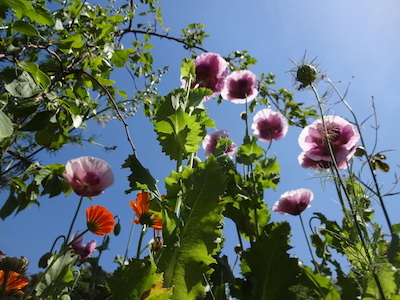 The sun came out – and so did we! 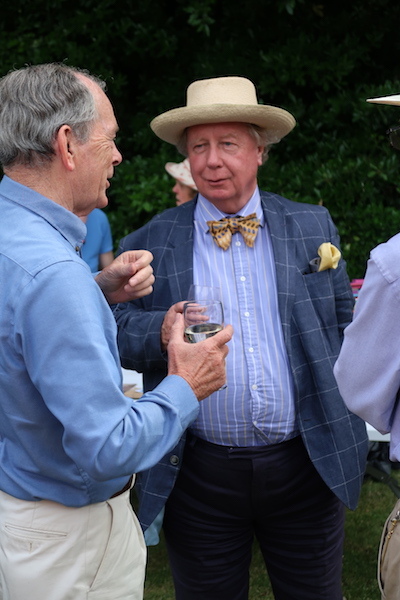 Despite concern that ticket sales were down and that maybe the garden party has had its day as a summer event, the annual Regency Society garden party on 23 June was once again a great success. 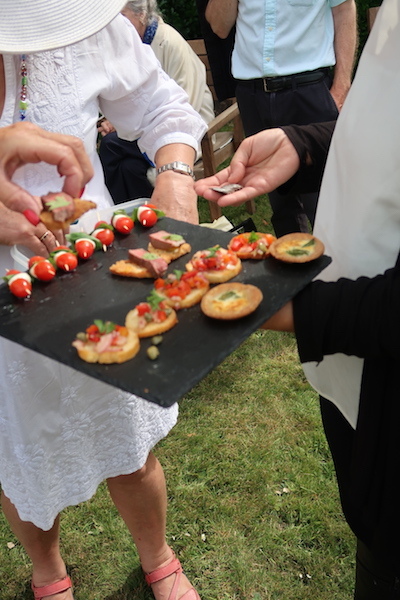 It was helped, no doubt, by the sunshine, the wine and the delicious canapés. 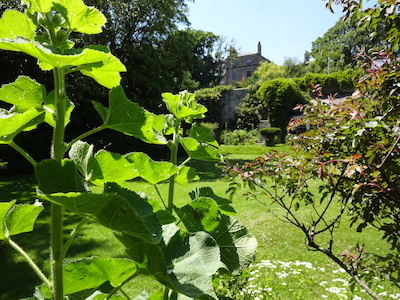 And, of course, the delightful setting of Kemptown’s Secret Garden, now owned and maintained by the Antony Dale Trust. 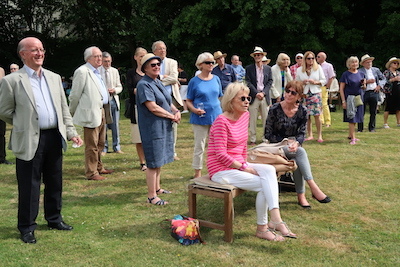 Worries about ticket sales were unfounded as numbers were virtually the same as last year, with almost a third paying at the door, maybe encouraged by the good weather. Music played in the background as people nibbled, drank and chatted with old friends and new faces. Had I known I was going to be writing this, I might have listened more carefully to the music playing but possibly there was some Glenn Miller and definitely a little Ink Spots! So nothing too loud or aggressive or likely to upset the neighbours. 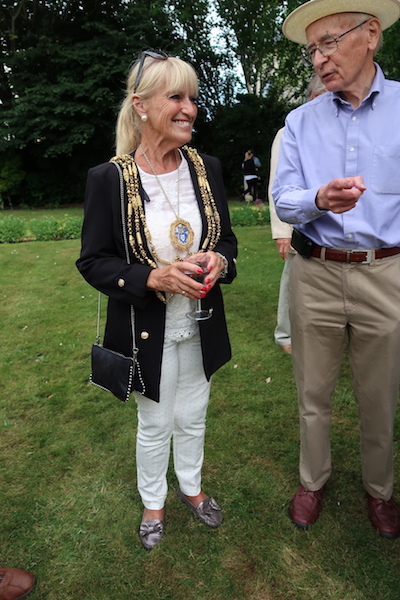 We were joined by some special visitors, including Councillor Dee Simson, Brighton & Hove’s new mayor; Sir Simon Jenkins, President of the Regency Society, and Professor Gavin Henderson CBE, Vice President of the Society and Chair of the Antony Dale Trust. 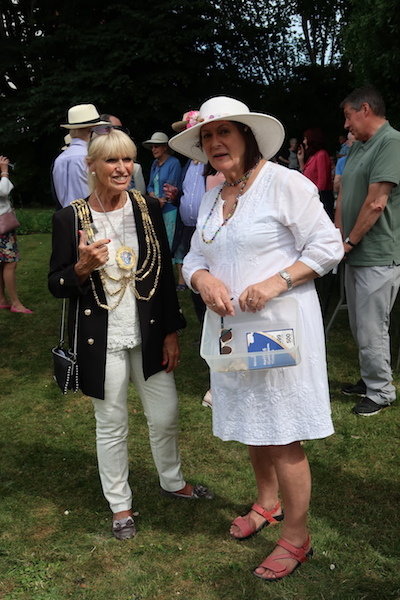 The mayor said a few words, congratulating the Society on its work encouraging concern for our city’s built environment, and drew the first ticket (and several more) of the afternoon’s raffle (prizes predominantly books and booze). 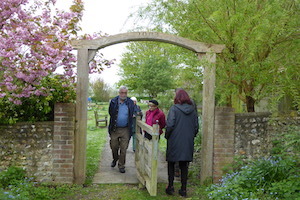 Gavin Henderson also spoke, giving us a potted history of the Secret Garden and the Antony Dale Trust’s plans for future development and uses of the garden. These include an exhibition in next year’s Brighton Festival of the work of sculptor, William Pye, probably best known in the south-east for his water sculpture at Gatwick Airport. 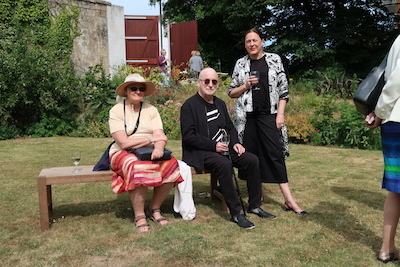 Special thanks must go to Martin Auton-Lloyd for the catering; Delia Forester, Helen Walker, Rupert Radcliffe-Genge and Richard Robinson for their sterling work on the bar and raffle; Suzanne Hinton and Kate Ormond at the door; David Robson for photography and ferrying tables back and forth, and Roger Hinton, Chair of the Society and provider of the music from his extensive collection of 78s. 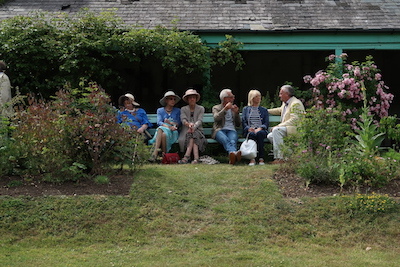 And to all the people who attended – perhaps the garden party hasn’t had its day after all! 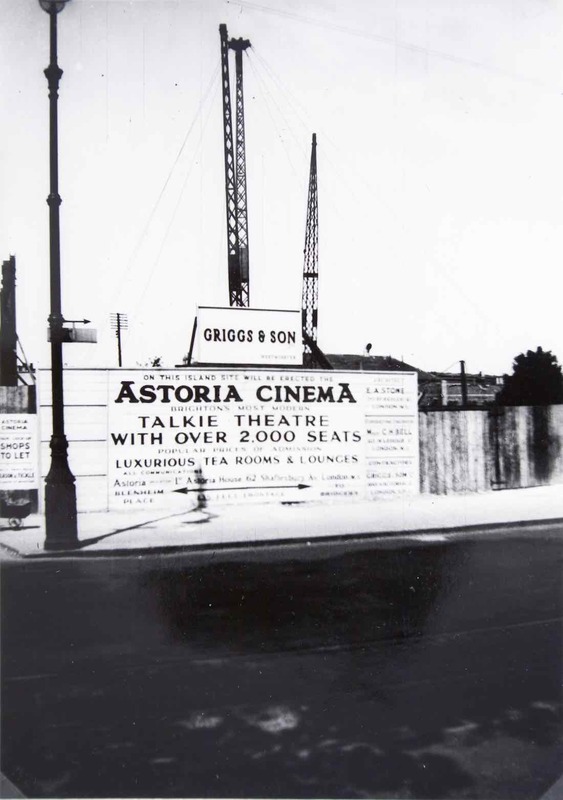 Many members will have noticed the Astoria Cinema building in Gloucester Place in the course of its demolition. Our June 2018 update included a photo taken of glimpses of the interior. 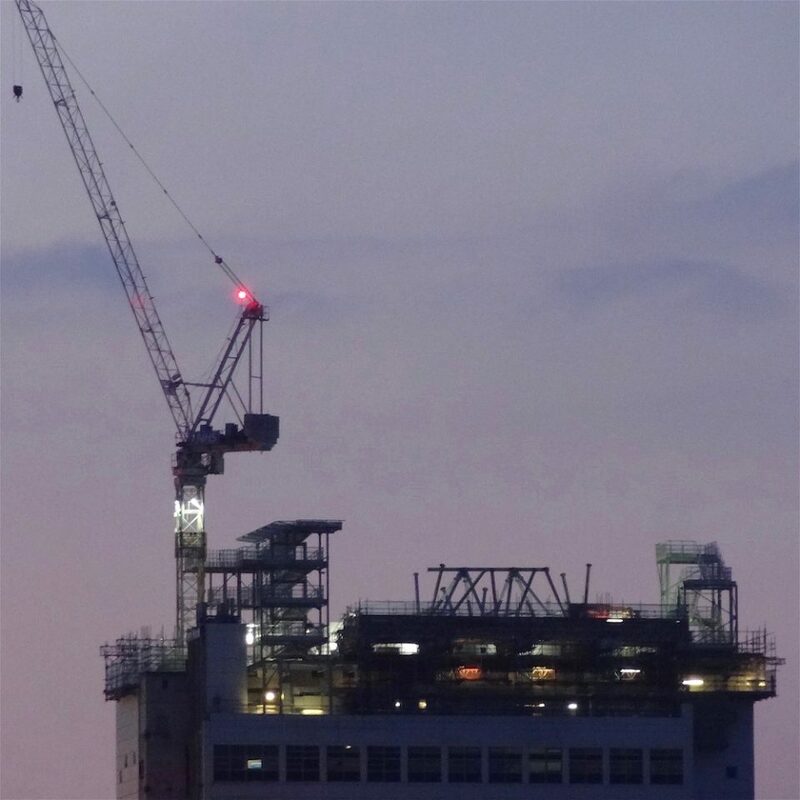 Other pictures of this disappearing Brighton icon, soon to be replaced by a block of flats, have featured in the press and social media in May and June 2018. 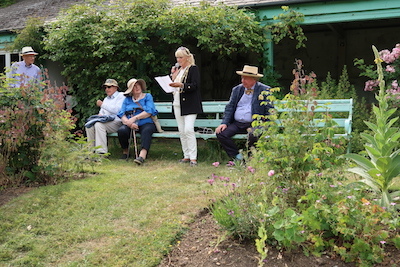 Kate Ormond reflects on an interesting day out led by David Robson with occasional delights 'off-piste'. 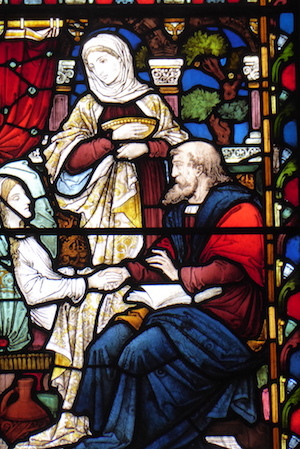 You may have heard Nicola Westbury’s interesting lecture about her conservation work as architect to the Churches Conservation Trust on St Botolph’s in Steyning and Holy Sepulchre in Warminghurst. 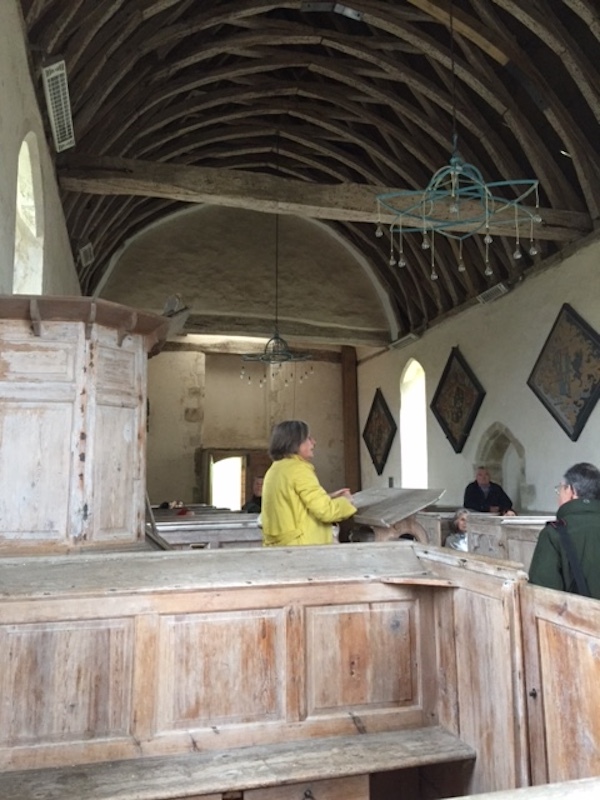 To accompany the lecture RS members and friends joined a study day to visit these and other ancient West Sussex churches, many created for communities dependent on the navigability of the River Adur. As the river silted up and livelihoods were lost, people moved on, congregations dwindled, and Downland churches fell into disrepair. While not quite Downland, we began at St Mary de Haura in Shoreham, a Grade 1 listed building of 11th century Norman origin built for a once thriving city whose history has been determined by river and sea. 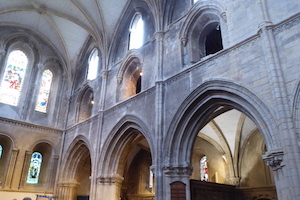 It is unusual among English parish churches in having a stone vault soaring above the three tiers of arcade that transition from Norman to Gothic and supported by flying buttresses. Perhaps more unusual are the columns of the arcade that are different on each side – those to the north alternately round and octagonal, to the south more complex and uniform. 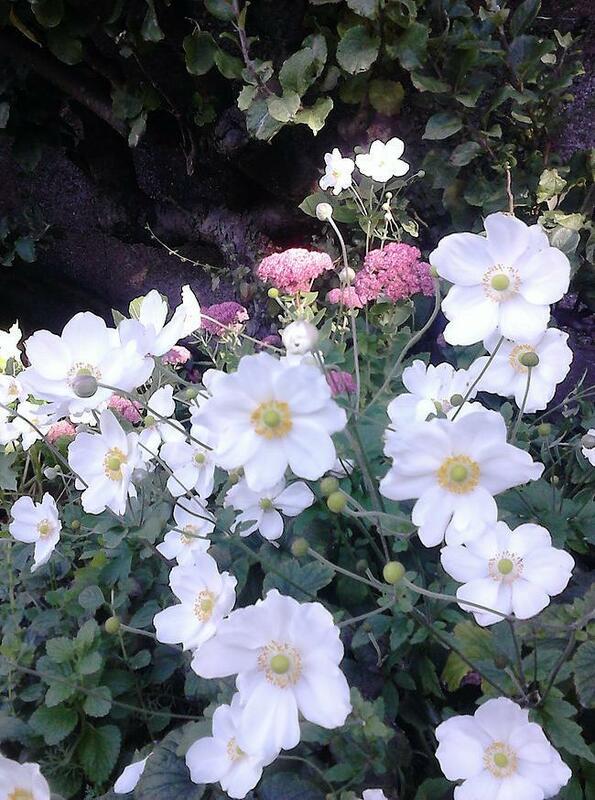 As the day was led by David Robson it was not surprising to find ourselves off-piste for a few extra delights. 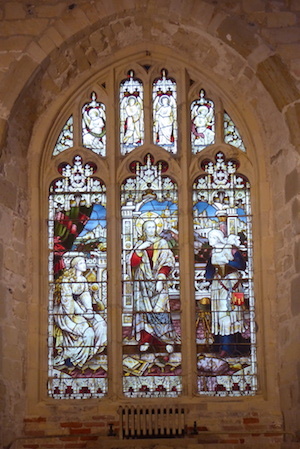 The first was to view the grave of Amon Henry Wilds in the cemetery of St Nicholas’s church in Shoreham. Iron railings surround the tombstone now nestled beneath a spreading laurel tree and looking comfortably shabby chic. 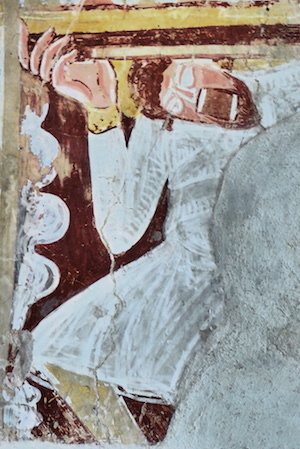 The four Downland churches we visited had in common their Saxon or Norman origins, picturesque settings (often just a chancel and nave with limited changes dependent on population variation) and varying degrees of restored wall paintings. Yet each has its own character, best experienced by being there to sense the calm rural simplicity which evokes a sense of early Christianity. 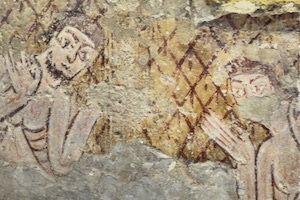 Coombes Church, named for its siting as its dedication is unknown, contains wall paintings re-discovered in 1949 depicting the gospel through pictures for those who couldn’t read. 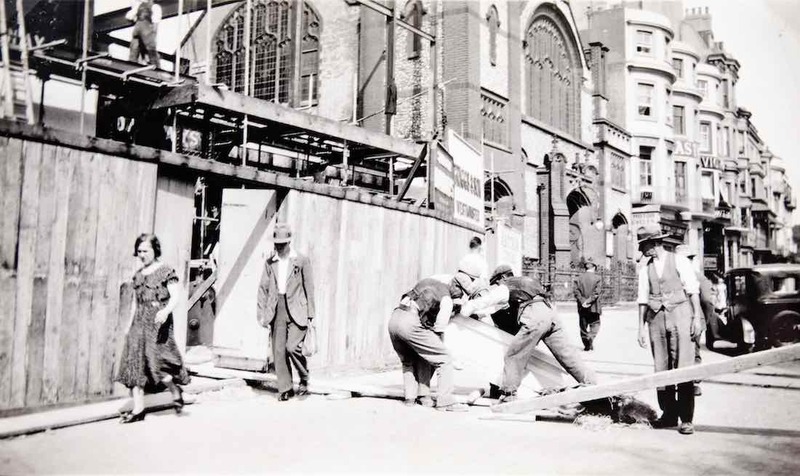 Having served its community for a thousand years it continues to be used and maintained by a small hard-working congregation. 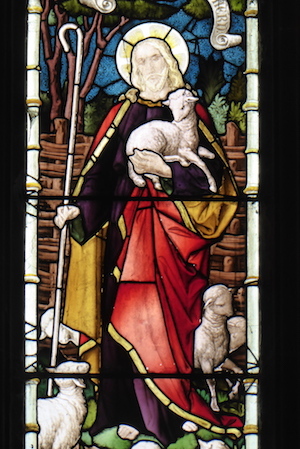 St Botolph’s in Steyning is a Saxon church recently restored by the CCT. The Adur runs along the east of the site. Its silting up in the 14th century brought down the only bridge across the river that had been used for what is thought to be a thousand years, leading to the demise of the village. We were treated to a personal tour by Nicola of the restoration of the Church of the Holy Sepulchre in Warminghurst. It was thrilling to hear and see for ourselves the nature and extent of the work undertaken: timber repairs to the rafters and braces of the vaulted ceiling, sourcing Horsham stone for re-roofing, even policy clashes in restoration work generally - all managed with expertise and dedication to its Grade 1 listing. 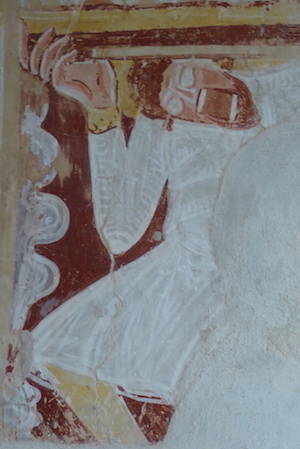 St Botolph’s, Hardham has an extensive set of frescoes that, unusually, cover the whole church interior. Monks from St Pancras’ Priory in Lewes are said to have supervised the decoration of the church interior as well as those of Coombes Church. Our final church was St Nicholas in Arundel but not before another off-piste view of the adjacent Arundel Cathedral, built to elaborate Gothic heights and thrill in the 19th century, confirming the continuing passion and dedication of the Roman Catholic Church. 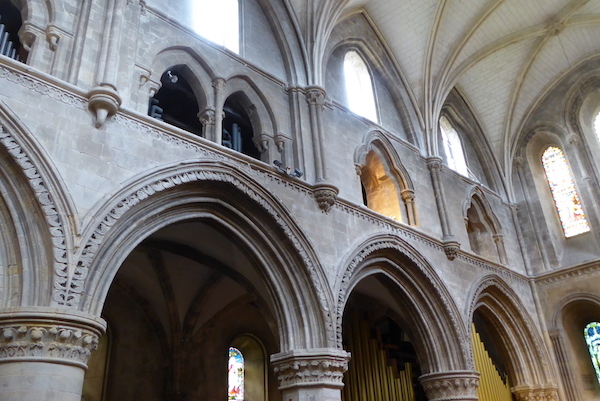 We had a guided tour of about half of what had been a homogenous 14th century building now bizarrely divided with the chancel (Fitzalan Chapel) Roman Catholic and the nave and transepts Church of England. Grade1 listed, this may be the only surviving example of the mediaeval practice of two ecclesiastical foundations under one roof. 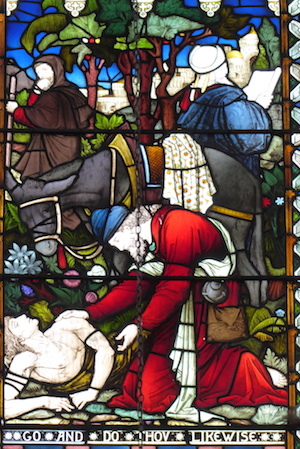 In 1879 the then vicar, unhappy at what he saw as Roman Catholic triumphalism, fought a lawsuit, claiming the chapel for the parish church, but lost. 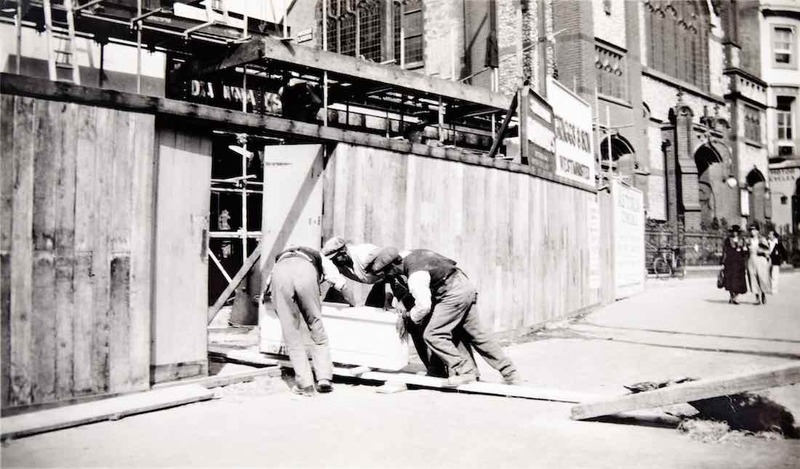 As a consequence, a crude brick wall separated the two for 90 years until replaced by the present glazed partition. However it is not so sweet a compromise as a tall iron gate full of highly gouging spikes also guards the divide, leaving a clear message. Thank you for contributing. Thank you for coming along. 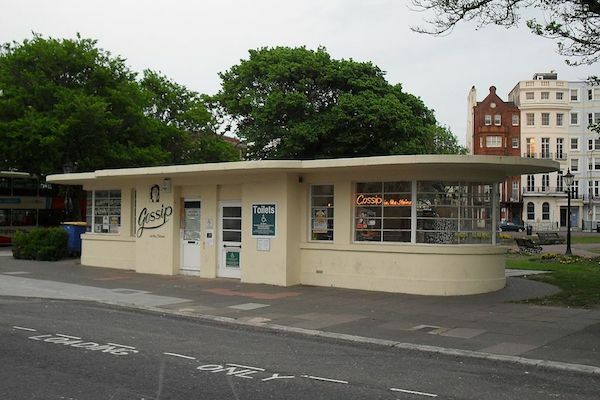 Number 4 Grand Avenue is one of Hove’s finest 20th century buildings. 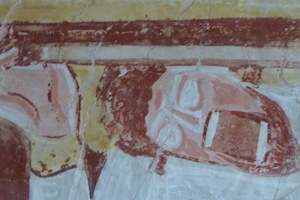 It is also one of the best preserved. It was built in 1939 to a design by Murrell and Pigott. It’s 1930s look is striking and, in the words of Regency Society member Robert Nemeth, “it would make an ideal home for a certain Monsieur Poirot”. 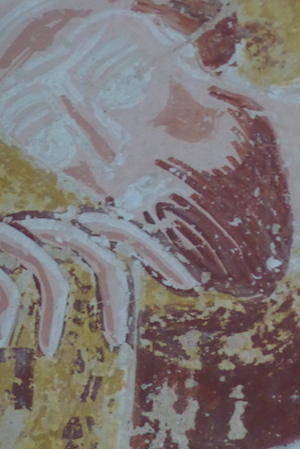 It is important that its distinctive appearance should be preserved. That is why the Regency Society has objected to a planning application to install a glass balustrade behind the balcony railing on the eighth floor. The reason for the plan is perfectly understandable, to reduce the risk children falling through the existing railings. So why are we objecting? The balcony is on the top floor and is clearly visible against the sky. 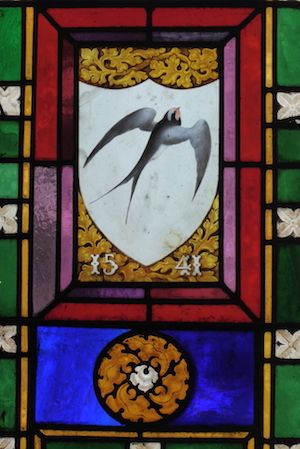 Glass is a far from an invisible material and, in this position, it will act as a reflector. We are also worried that the proposed fixing into the stone parapet will not be strong enough to resist high winds. The society has welcomed a plan to install a new sign near the landward end of the pier. 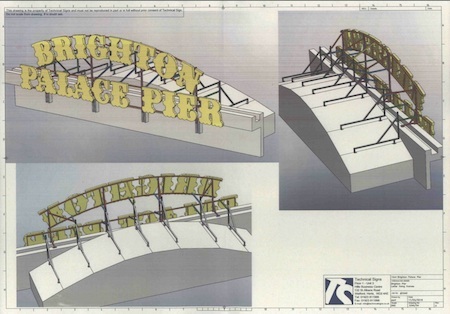 The sign will read “Brighton Palace Pier” thus restoring its previous, but not quite its original name. 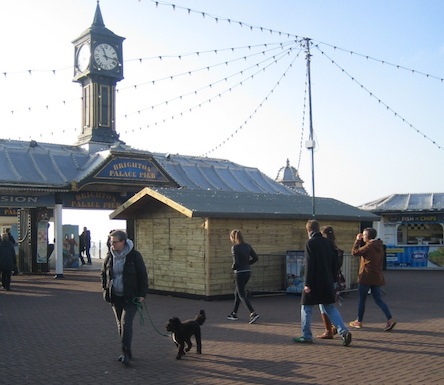 Back in 1899 when the pier was opened, it was named the ”Brighton Marine Palace and Pier” and the initial BMPP can still be seen in places as you stroll along it. However, we are less impressed by a new structure which has appeared directly outside the pier entrance. It is a large, windowless, wooden shed housing a gift shop and it looks quite out of place. No planning application has been made as far as we know. We have asked the Council to take enforcement action. We’re not at all happy with the proposal for the King’s House on Grand Avenue – read about our concerns here. Would you like to comment on this article? The committee, RS members and other site users would be interested to hear your views so we are inviting you to share your thoughts online. If you would like to do so you will need to register first – it only takes a moment and once registered you can log in and comment on other articles on this site in the future. Click here to register. If you have already registered, simply click on ‘you must be logged in’ at the bottom of the page. We're very disappointed with plans for the King's House building (formerly council offices) on the corner of Grand Avenue and Kingsway. Our concern covers more or less every aspect of the proposal currently under consideration. The new structure will not only replace the building which faces Grand Avenue. 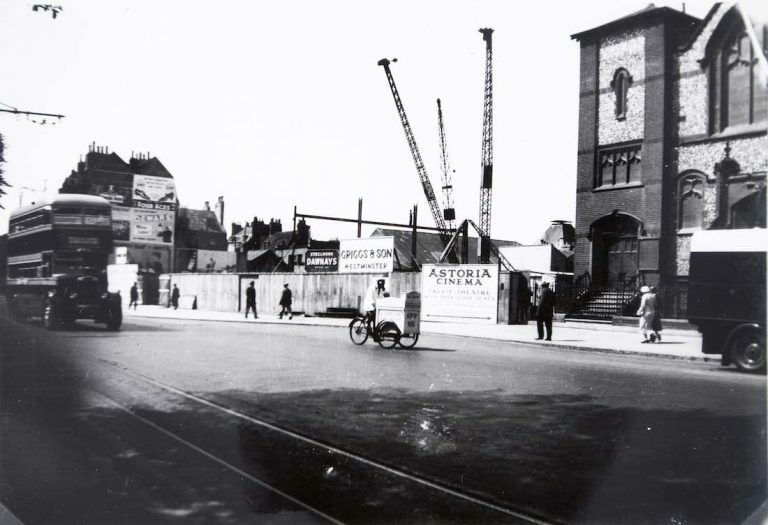 It will also include a new block where the car park is now. These three structures, including the original Grade II building which faces Kingsway, will have very little space between them. Almost half the apartments will face into sunless internal spaces and have no views. The new block which will face onto Grand Avenue includes single-aspect flats with dining areas 7 metres from any window. The inhabitants will need the light on all day. 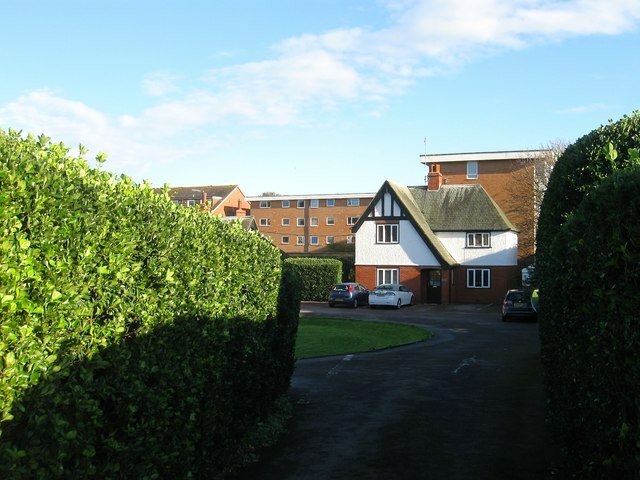 You will be no better off if you opt for a flat in the North facing blocks of the main building. These flats will have no sunlight all day either. Its structure consists of 'outriggers' (blocks which jut out from the main building). 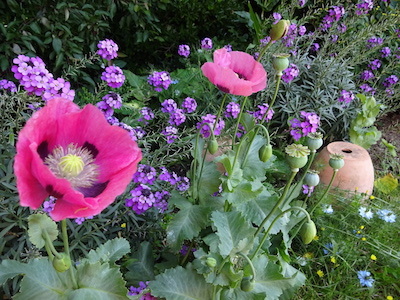 These are only 8 metres apart so will get very little, if any, direct light and very poor privacy. The Western aspect faces a blank wall. 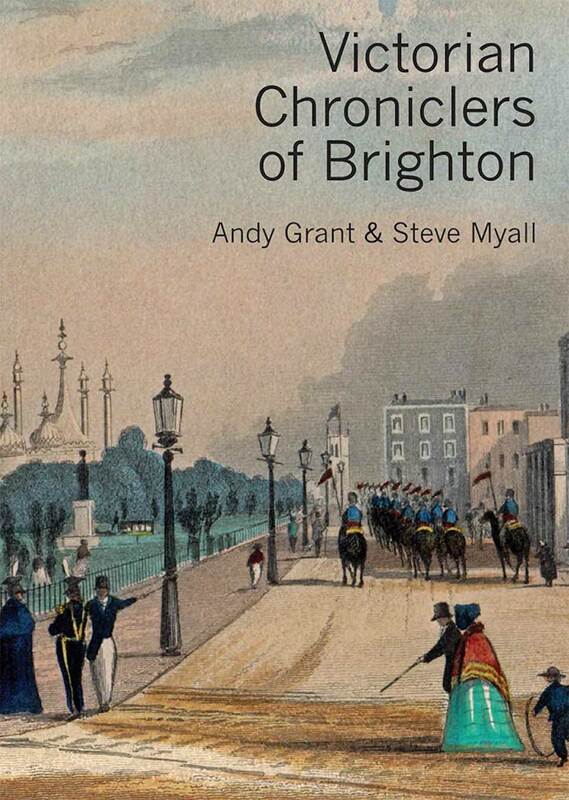 And this is one of the most desirable sea-side spots on Brighton and Hove! There is very little open space - all of the available land has been crammed with buildings. This is a worrying trend (see our comments last month on proposals for the Amex site). We don't like the design, which feels to us as if it is an attempt to make the ungainly whole look smaller than it actually is. So it won't even be a pleasure to walk past, if you are lucky enough to live in the much superior 1930s 4 Grand Avenue, just up the road. This proposal is coy about affordable housing. We don't know how much is proposed nor where it would be but we fear that this is the intention for the worst of the depressing, dark apartments. We find this proposal unacceptable in every way. It is very sad that a prime spot on our sea front attracts so little ambition for the future of our city. It condemns future generations to a substandard home if you live there, and a depressing view if you merely have to look at it. 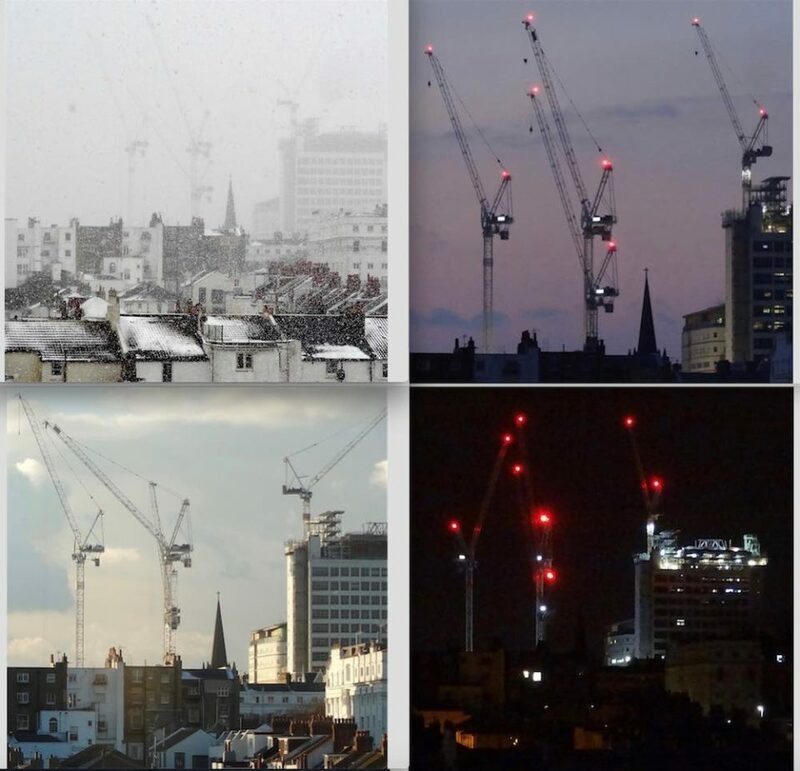 Alas this sort of development seems to be a growing trend. We call on the council to raise everybody's aspirations by declaring this sort of proposal unacceptable. 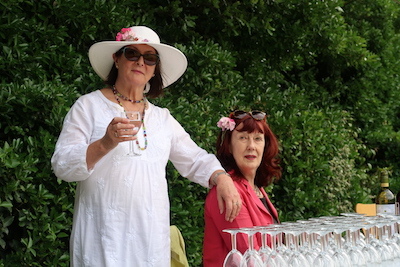 The Society's Annual General Meeting was held on 18 April. 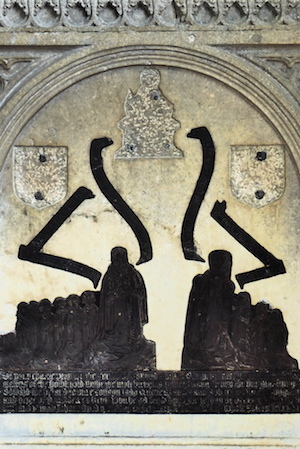 An election was held for new trustees to join the committee. The committee is pleased to welcome Alasdair Glass, Kate Ormond and Lyn Turpin who were elected to serve for the next three years. Most people agree that our city needs more homes. Once the discussion turns to where to put them that agreement is likely to evaporate. There will be no single answer to this question. We must “look down every rabbit hole” as the planning inspector said when commenting on the City Plan. Hopefully she was arguing for a range of solutions, rather than suggesting that green-fields would be the only answer. 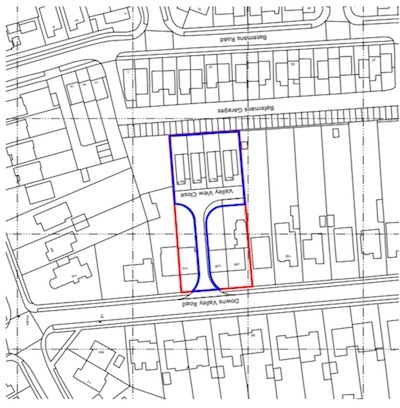 The Society has recently looked at two planning applications which both illustrate one such “rabbit hole”, namely backland development. 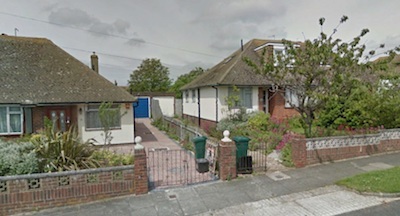 The outer suburbs of Brighton and Hove were originally developed at low densities. Now that we are struggling to find places for new homes, is it perhaps time to use suburban space more intensively? The second is slightly different: the backland in question already has a building on it. 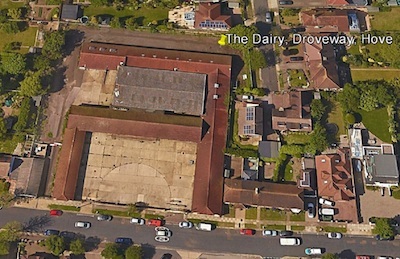 It is a plan for the former Dairy Crest site in the Droveway. The site was first used as a farm around 1800. In the early 20th century it became a dairy, operated latterly by Unigate until it closed a few years ago. It is not nationally listed, but it is included in the Council’s list buildings of local interest. It is surrounded by suburban residential properties. The current proposal is for a mixed-use development and aims to “retain the character of the existing agricultural buildings. 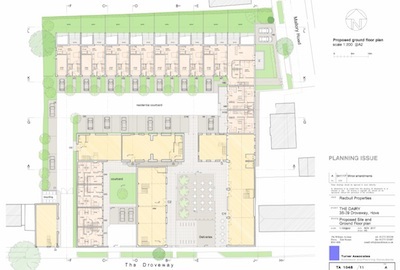 Some employment space will be provided towards the front of the site, with 14 new housing units mainly towards the rear, replacing part of the existing building. Read the planning application here. 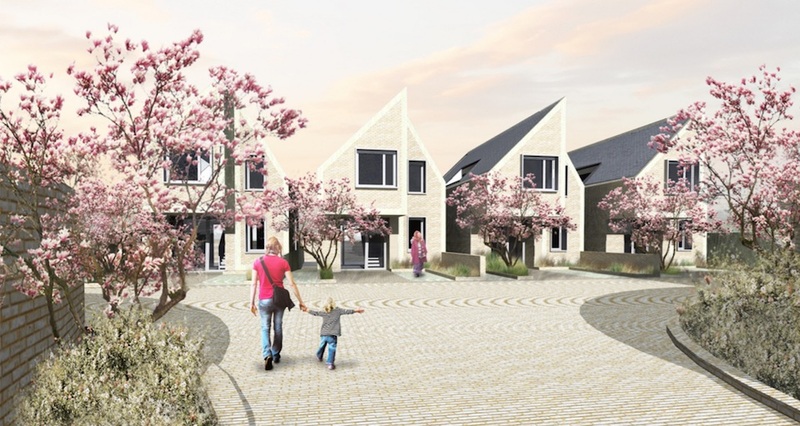 What do you think of these attempts to use the suburbs to help solve the housing crisis? 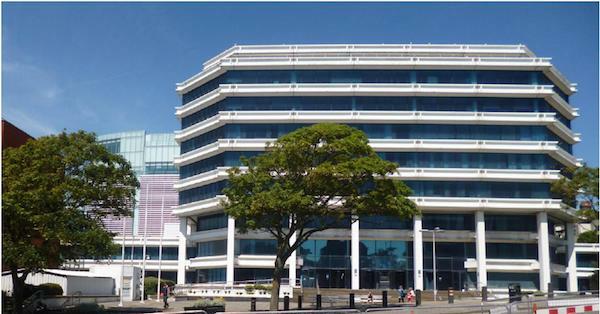 We’re not happy with the proposal for the Amex house site – read about our concerns here. Last month, following our cabbage awards evening, we asked you to let us know if you have any favourite buildings of the last 118 years to redress the balance. It's nice to know we can praise as well as criticise! 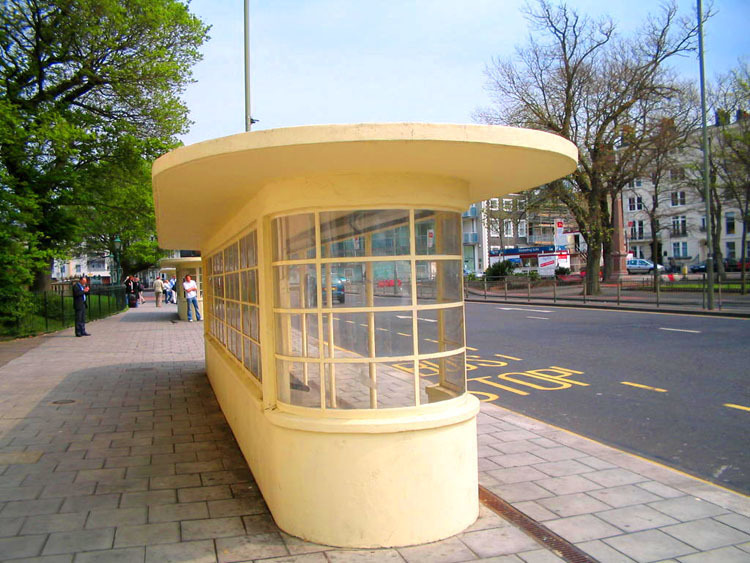 Jane Carver nominates Brighton and Hove's tram (now bus) shelters because 'some have a delightful rustic charm and the one in Pavilion Parade (designed by Borough Engineer David Edwards) is thoroughly modern with straight lines and curves. Simple, elegant and fit for purpose'. 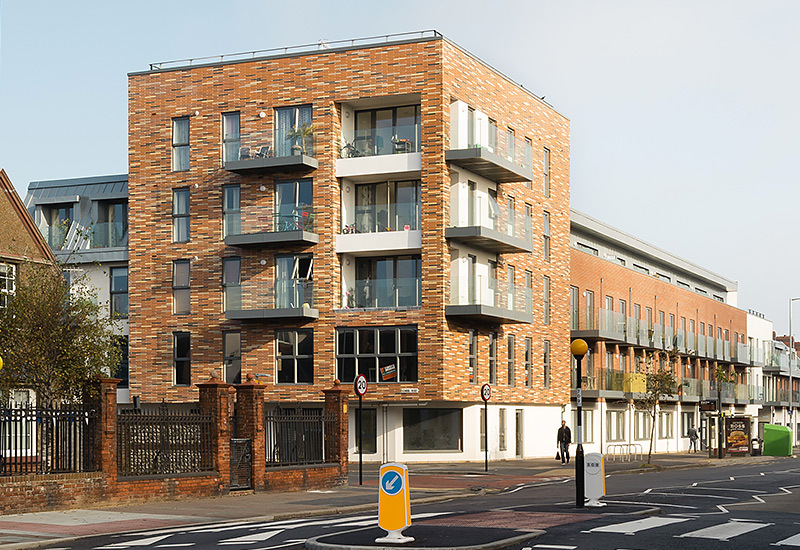 Elaine Evans nominates Frieze Green House on Portland Road, which won Development of the Year at the Chartered Institute of Housing’s South East Awards in 2016. 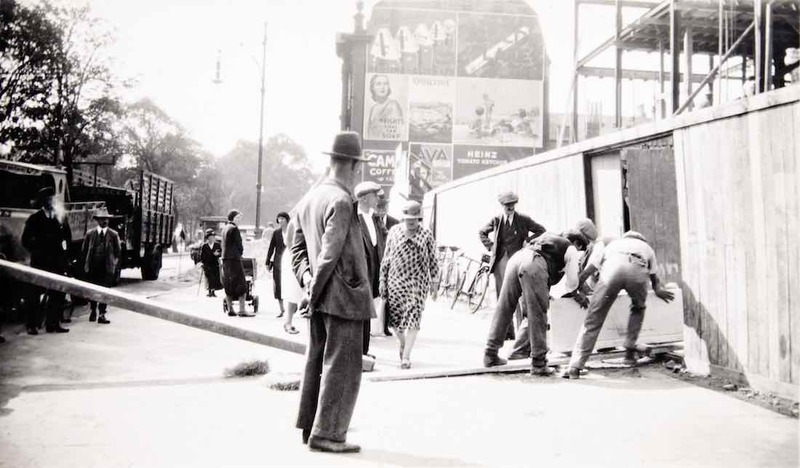 Mary McKean nominates 'Gossip in the Steine Cafe' because it is 'quintessentially Brighton....' and the matching bus shelters already nominated by Jane Carver an elegant but modest example of 1930s stylishness. 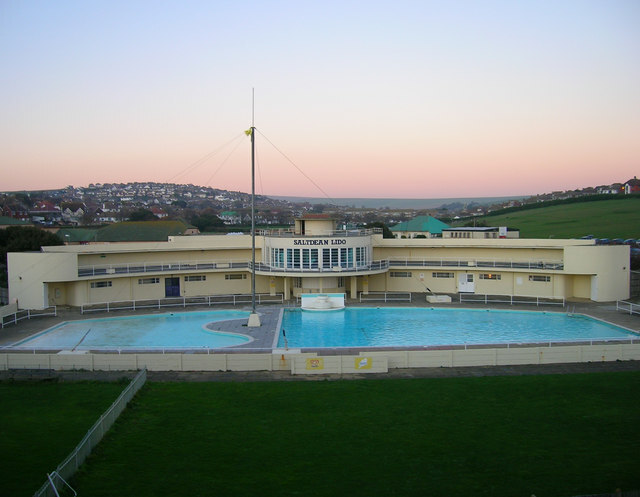 Kevin Wilsher nominates Saltdean Lido because 'it is one of the finest examples of modernist lidos in the UK. It's also a great example of the restoration of an important building driven by the energy and determination of a local community group'. 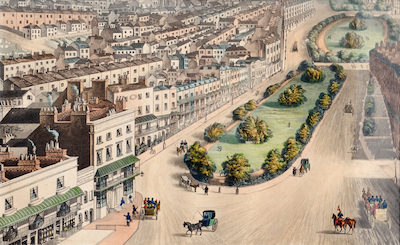 The Regency Society of Brighton and Hove is a registered charity, no 210194.